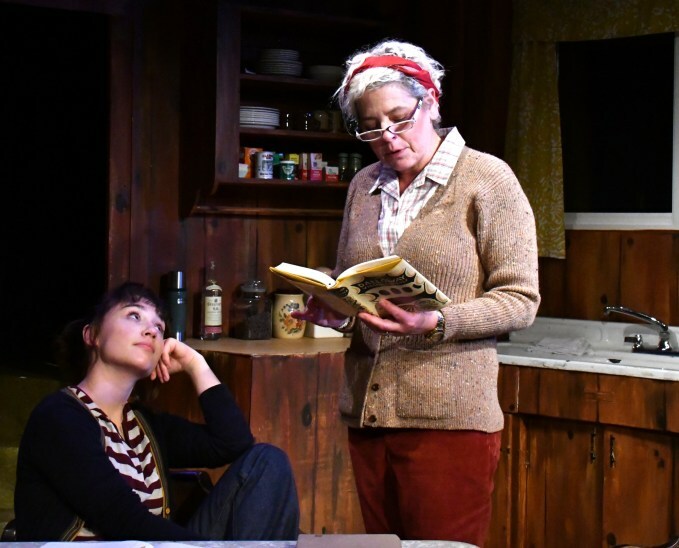 The Custom Made Theatre Company’s production of Sarah Treem’s When We Were Young and Unafraid hops the time travel bus back to 1972, when society was reverberating from the upheaval of the 1960s and bubbling in the froth of nascent ideas and ideals. It’s a time when rules suppressing women’s right to choose her life and work path were being questioned (Roe v. Wade came a year later), and women themselves were raising clenched fists to take action. In When We Were Young and Unafraid, each of the four female characters must make choices and take action. The setting is a somewhat shabby rustic kitchen on a remote island off the Washington State coast.. We meet Agnes, the middle-aged proprietor of a bed and breakfast that looks innocuous enough until we learn it’s a stop on a sort of underground railway for abused women fleeing domestic violence. Stacey Ross brings us an Agnes full of strength, wisdom and resolve; her homey baking of pumpkin cardamom muffins belies the radical person she really is, someone who continues to take great risks to help free women from a life of abuse. 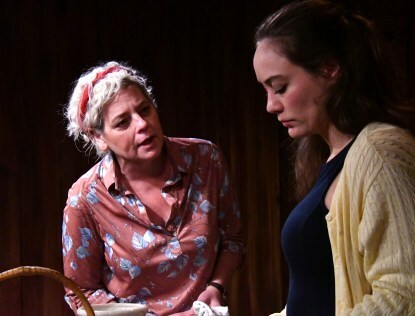 Agnes is the motherly guardian of Penny, an ambitious and intelligent young woman (played with bright energy by Zoe Foulks) who’s trying to find her way in the swirling confusion of her age and era. Things seem to run like clockwork until Mary Anne arrives, a vulnerable young woman bearing the victim’s badge of a painful black and blue shiner. Liz Frederick brings a depth of character to this woman who, although abused, is strong in her own mind and will. 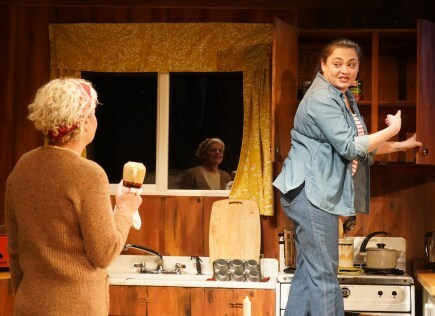 Agnes accepts Mary Anne and lays down the rules: Mary Anne needs to stay hidden upstairs until her face heals; she needs to promise Agnes that she not call her abusive husband without telling her first. But Mary Ann has the strength of a survivor who’s been through the mill. She is strong by the rules she is familiar with in the game of “win the man,” even if it means suppressing one’s own voice and individuality. When she overhears Penny’s anguish over not winning the attention of the star football player, Mary Ann coaches Penny in the rules-- to wear a dress, fix her hair, act interested only in the guy--in other words, to become a wind-up doll of feminine guile, a strategy that Mary Anne has lived by for years. Much to her dismay, Agnes fears that Mary Anne will sway Penny from her path toward college and self-actualization. Her attempts to control arise from love and experience at having seen so many young women’s lives ruined; her passion to help women get abortions had led to revocation of her nursing license. When Hannah, a self-reliant and self-assured lesbian comes looking for work (she can fix anything) at Agnes’s door, she is at first turned away but nevertheless persists. Renee Rogoff is a badass Hannah who takes no crap as she celebrates womynhood, her strong will a real match for Agnes. There is one guest at the B&B: the clueless, nice-guy Paul (played with a gentle befuddlement by Mark Hammons), looking like a lanky and confused Glen Campbell with long sideburns and polyester shirts as he tries to keep pace with the women who are straining at the leashes of their own lives. As an intense visit to those changing times, When We Were Young and Unafraid stirs the batter of how love is defined, the who, what, why and how of love in action, and the compromises that must be made. Of special delight, especially to the baby-boomer crowd, were the snippets of songs by Joni Mitchell, Crosby, Stills Nash and Young, and other beats of the 70s. Costume designer Coeli Polansky must have had a lot of fun foraging in vintage clothes stores to achieve that authentic 70s look. This play is an engaging study of how change is made in fits and starts, and not with a single smooth broad brush upward stroke toward enlightenment. 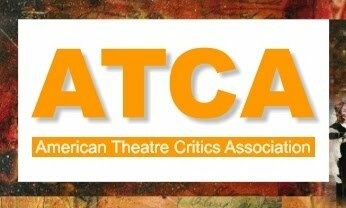 With strong productions like this, The Custom Made Theatre Company is getting better and better at finding the heart of a play and putting it forth to the world -- with a lot of heart and limited funds.